Garfunkels has everything you need for the perfect Braai. 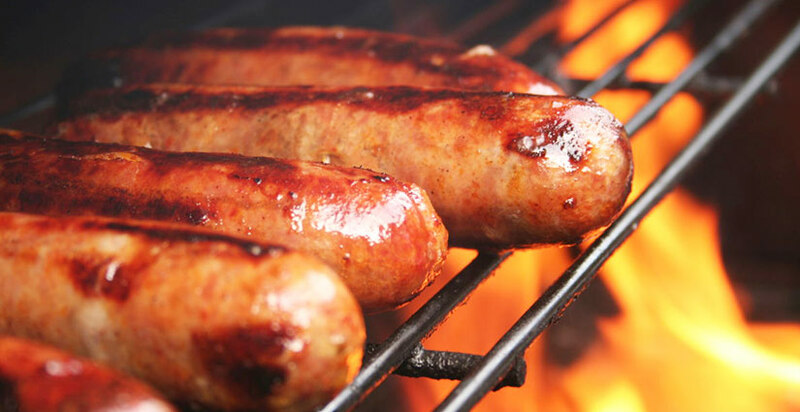 Sausages, hot dogs, boerewors and delicious bacon burgers. There is plenty to choose from…relish the season with Garfunkels! 1. Place the burgers directly over hot side of grill and cook until well charred, about 3 minutes. 2. Flip patties and cook on second side until well charred, about 3 minutes longer. 3. Toast buns directly over hot side of grill until browned, about 30 seconds. 4. Add the burgers to the rolls and add pickles, grated cheddar cheese, mustard and lettuce. Serve. The smoky heat of a braai is one of the best possible ways to flavour boerewors – cook on low heat for approximately 20 minutes, 10 minutes per side. Turn with tongs and do not pierce with fork during cooking as this releases much of the moisture in the sausage. Hot dogs are the perfect braai food for kids, they are fully cooked before they are packaged, so no matter who does the grilling, it will always be done right. Get the kids involved in making their own food, by giving them a Garfunkels Frankfurter on a skewer and let them braai their own hotdog. Give them a table with the perfect sides and let them dress their own dogs. Always make sure to give your grill a proper warmup. Preheat a gas grill on high. For a charcoal grill, preheat until the charcoal is covered with a white ash. What’s Your Favourite Hot Dog?